Cloud storage and Online backup services have become an essential part of our Modern life. Because of Virus attack or accidents we can loose our valuable files so its a great idea to keep them on cloud securely. No matter what happens in future you will be able to restore them. But as there are endless option the question is which one you should select? In my opinion, Mega is the best premium solution. I have also shared many others if you are looking for free solutions. Mega is the best Online Storage service ever. If you are looking for Privacy of your files then select Mega. Because Mega was created by famous Kim Dotcom, Mathias Ortmann, Bram van der Kolk, and Finn Batato. Mega uses its own Browser based key encryption technology. So you will control the keys. 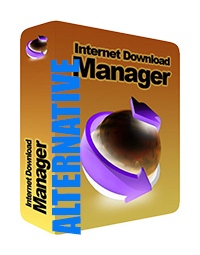 As far this is the best Free solution for Online storage. You will get additional Storage if you buy pro subscription. Pro subscription starts only from 500 GB only at 9.99€. If you subscribe to Yearly Pro membership you will save 17%. Formerly known as Yousendit, Hightail is the safest way to store your file online. Your file will be encrypted so none can access it. You can access, share and update your files from any device. 2GB free file storage with lifetime file storage guarantee. Only the catch is your file must be upto 50 MB. Apart from online browser based connection, You can also download their Iphone App or Android app for sharing and accessing. Put all files in Google Drive for backup or storage because this is the most secure and free way to keep your file safely. You can access files stored on Google drive from your desktop, mobile phone or tablet, and drive.google.com. Sounds good? Get 15 GB free storage now. No file size limit and free 5 GB storage- this is what copy presents to you. You can give privacy to your files. You can make it private or share with your friends – its upto you. Just cloud is free and secure online data storage service. It also has Unlimited storage subscription for Home and Business users. So if you want to Backup your valuable files then just cloud is the cheapest way to save them in cloud. Just cloud has free mobile apps so you can sync your mobile files and manage them from both computer and mobile. You can also share files with your friends if you want. HiDrive offers free 5 GB storage . Your files will be stored securely at ISO 27001-certified data centers in Germany. You can use free HiDrive app for your smartphone and Access your music collection or upload photos directly from your smartphone to Hidrive cloud storage service. Dropbox is the most popular online storage service. Because of its robust technology, you can access your file from anywhere. 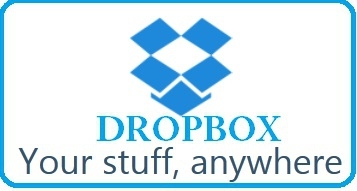 Dropbox is free , secure and most advanced online cloud storage service provider. You can also sync your Phone’s files with dropbox and access it later. You have freedom to share your files with your allowed persons. So your files privacy will never be broken. Try this service for free . Completely secure cloud storage service. Tresorit challenges Hackers to hack their client based encription and 10k USD awards for winners. So I think you can be assured of your files security with tresorit. So, what are you waiting for? Grab 5 GB of encrypted file storage for free now. Here! Backup your Files, photos, contacts, tasks, events and any other data with flipdrive and sit back. This is three in one service: Backup, Cloud storage and Sharing all in one both Free and Premium package. These are the best online storage services I have found handy. If you want to share more awesome file storage services which I have missed in this list you can share with us. Any question? Please use comment section. I personally use DropBox and Google Drive, but mostly for exchanging files with customers. Actually files without sensitive information, as I am afraid of security related problems of cloud storage. Hello Kaloyan. You may try Mega.co.nz its more secure than any other “well known” and popular storage services. 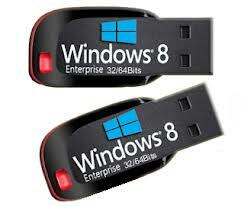 It has 128 bit encryption which is the strongest encryption available. Good day George. Thanks for the info. Hello Hanis. Thanks for your comment.
.::I prefer #1. Mega & lovely #2. Copy ::.